Enter the uber talented Stina Jones, who created the logo for us (She is also the illustrator behind the iconic 2013 (R)Evolution illustration). I’m sure you’ll all agree, the new logo is AWESOME !! We are so happy with it, Zach has been quoted as wanting it as a tattoo! ~ grin! 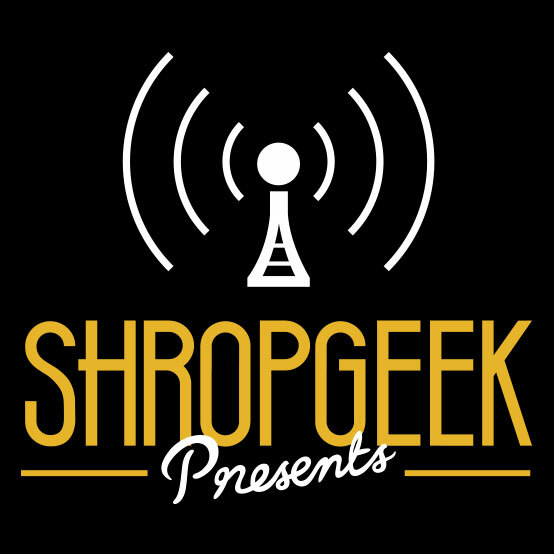 The new website was a different challenge, it needed to house all of the Shropgeek goings on, firmly establish the brand and style, and not be shameful in comparison to the new logo. No pressure then! Designed and built by me, it was a good excuse to experiment with some new techniques and applications that I really hadn’t had much chance to tinker with on client work. Which was fun! It is still built on WordPress though and uses Advanced Custom Fields to create a lot of the different layouts without having to create separate templates for each (there will be blog posts about the design and build of this site coming soon). From here on, this website will be the place to check when upcoming events are happening, it will replace the need for the current about.me page and will also replace the separate Shropgeek Rebellion website. Any other events we host or websites created for Shropgeek (for example (R)Evolution Conference) will include our shiny new logo in a “Shropgeek Presents…” capacity. Think of it as a seal of quality.